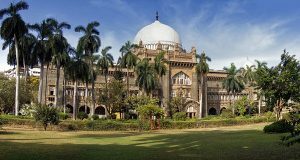 Event Description: One of the largest museums in India, the National Museum holds a variety of articles ranging from pre-historic era to modern works of art. Holding around 200,000 works of art, both of Indian and foreign origin, covering over 5,000 years, the museum is a fascinating place to explore while beating the heat of bustling Delhi. Location History: The roots of the National Museum begin with an exhibition of Indian art and artefacts at the Royal Academy in London in the winter of 1947-48. At the end of the London exhibition, the exhibition curators had decided to display the same collection intact in India before returning the artefacts to their individual museums. The Indian exhibition was shown at the Rashtrapati Bhawann 1949, and was so successful that it led to the decision to form a permanent National Museum. On 15 August 1949, the National Museum was formally inaugurated by the then Governor-General of India. The current building opened to the public on 18 December 1960. During your corporate teambuilding treasure hunt…expect to see celestial jewelry, a mad elephant tusk, a statue with a ram’s head, a skeleton wearing bangles, an elephant wearing a peacock and much, much more.